Casting untrained actors to play themselves is an intriguing stunt, and a gamble that can go one of two ways: Refreshingly real, as in some cases, or horrendously wrong. In The 15:17 to Paris, Clint Eastwood’s latest patriotic tribute to American heroism, that gimmick goes in the latter direction. 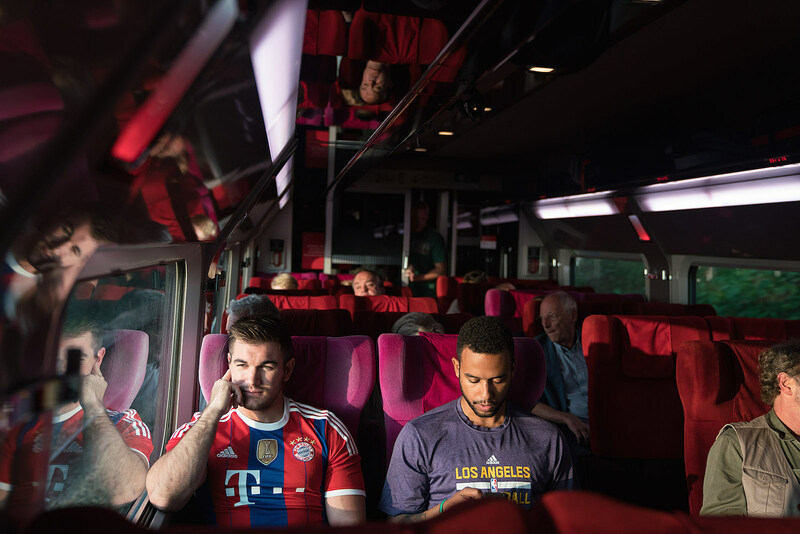 Taking on the story of the 2015 Thalys train terrorist attack, in which three Americans apprehended an armed shooter and saved dozens of lives, Eastwood decided to cast the real-life heroes as themselves. They are, not surprisingly, not good, but the men’s lack of professional training isn’t the only stain on the film; there’s also a cringeworthy script that barely devotes any time to the terrorist attack itself and is littered with dialogue that could have been written by Tommy Wiseau. It begs the perplexing question of why exactly this story, told the way it is, merits an entire film. That isn’t to say what Spencer Stone, Alek Skarlatos, and Anthony Sadler did on August 21, 2015 wasn’t admirable or deserving of praise. The three men, all in their early 20s, mustered a courage few people would come close to even considering. While traveling from Amsterdam to Paris on a European vacation, the three heard shots fired from the back of their train, saw a man approaching with an assault rifle, and with no more than a moment’s hesitation, Stone charged at the gunman. With the help of his childhood friends Skarlatos and Sadler, the three wrestled the gun from the assailant, beat and tied him up, and helped save the life of a passenger shot in the neck. That’s an incredible story, and one that offers a rare sliver of hope during times of rampant gun violence across the globe. But 15:17 to Paris is hardly invested in those tense few moments of bravery on the train, which take up roughly 20 percent of a film devoted mostly to the men’s bland backstories. One training montage later, Spencer and Alek finally join the military, decide to take a Eurotrip and arrive at their preordained heroic moment. It’s all as incredibly monotonous as it sounds. No disrespect to these men, but watching Eastwood’s film feels like being trapped in a neverending conversation with a stranger who forces you to look through their vacation photos. That last bit is quite literal – there’s a sequence where we follow Spencer and Anthony around Italy as they see the sights and snap selfies. Then they meet an American girl (via asking her to take a photo), see more sights, take more selfies, eat food, go to a club, wake up, and get breakfast. What’s most baffling about 15:17 to Paris is how it manages to be so boring and so spectacularly weird at the same time. You’d think that three life-long friends playing themselves would appear natural together, but there’s nothing remotely authentic about their onscreen behavior. Ironically enough, no one appears to be a real person in this movie – the line deliveries, and even from professional actors like Judy Greer and Jenna Fischer, are clunky and stilted. In one scene, after a night of heavy drinking, the guys wake up hungover. “Last night, man,” one says. After a few beats another replies, “Wow. Last night was crazy,” all with zero inflection. Other miraculously bad dialogue includes, “Words are painful,” and “Three California kids in Italy, what are the chances?” It’s as if you’re watching an alien read off a series of random words. It’s all so dumbfounding it makes you wonder: Did Eastwood even, like, show up on set and direct this thing? Watching 15:17 to Paris, I kept thinking about Ang Lee’s Billy Lynn’s Long Walk to Freedom, another failed experiment that attempted to capture the experience of war and PTSD. But just as Lee’s high frame rate photography punctured the film’s illusion of reality, Eastwood’s casting of ordinary people, and his extreme focus on their total ordinariness, only pushed it further from authenticity.